Jasper (AB), Canada – With its location within a National Park, Jasper has a distinct lack of unused mansions in town and a distinct abundance of snowy, jagged peaks surrounding it. 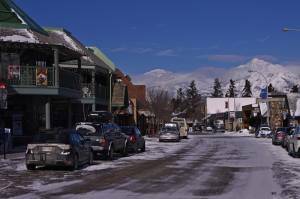 And while Marmot basin is a 20-minute drive from town, the commute is actually quite easy as shuttle buses ferry visitors to the slopes straight from their hotels. Jasper and Marmot Basin Ski Area are just outside the reach of day trippers from Edmonton, some three and half hours distant. This leaves mid-week visitors with no lift lines and no crowds in town to battle for dinner reservations. 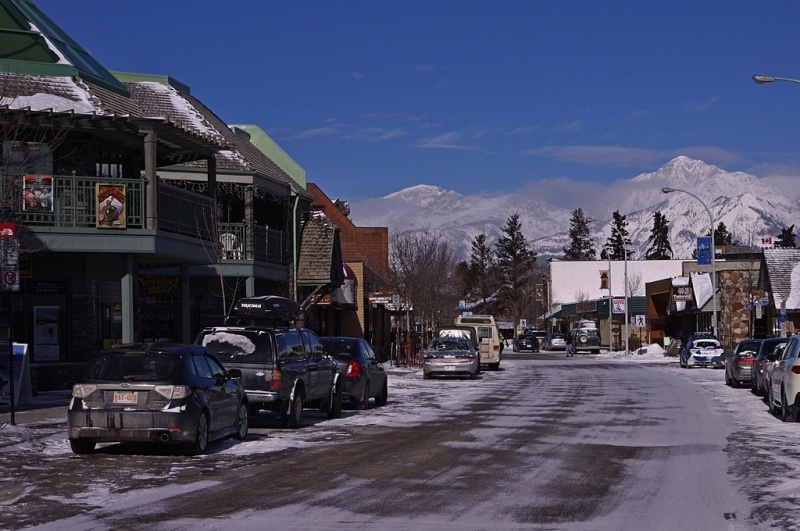 The setting for all of this is of course spectacular, with enormous peaks jutting up out of the wide valley on all sides, and it maintains a feeling of remoteness in Jasper despite the town’s well-kept hotels and restaurants. 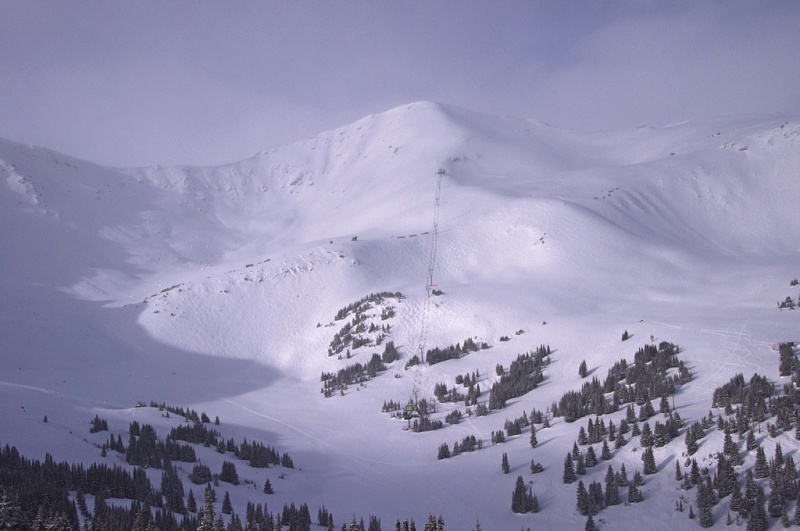 Until a few short years ago, Marmot Basin ski area was mostly deprived of major updates, but it is now on the rise and plans to play second fiddle to no one with modern base facilities and multiple new high speed lifts including the Canadian Rockies Express, or “CRE,” the longest high speed quad chairlift in the Canadian Rockies. New for 2011-12 will be an elongated and all-new Paradise Express lift and re-use of an triple chair to replace the School House T-bar. 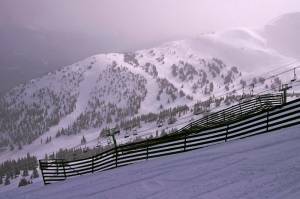 The resort’s recent improvements have brought much better lift infrastructure, better lift layouts and more terrain variety and aspects to Marmot Basin. The end result is a nearly country-club experience skiing Marmot midweek. Not only is winter the “slow” season in Jasper, but weekdays are even slower yet, which is great since the skiing really delivers. Though I would also suggest that it won’t be that way for long once word gets out about the excellent skiing and substantial improvements here. 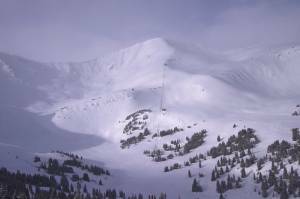 Marmot Basin offers a wide variety of ski terrain to choose from within its 1,675 acres and 2,240 lift served vertical feet (nearly 3,000 vertical if you are into hiking). You can even lap the majority of the resort’s lift-served vertical on a single chairlift, the CRE. About two-thirds of the mountain’s layout and lift pods are below tree line and a third above, creating some wide open spaces up top and tree-lined and gladed terrain lower down. The new Paradise High-Speed Quad, the resort’s third, will be a prime lifts for most skiers with many blues and blacks (and one green) radiating from its summit. I found it to be a spectacularly fun set of runs to let the skis get up to speed while dramatic above-treeline views start you on your way. The lower mountain features learning terrain to looker’s right and the Eagle Express HSQ to looker’s left, with the latter offering up some bumped-up blacks and a few groomers, as well as access to the resort’s terrain park. 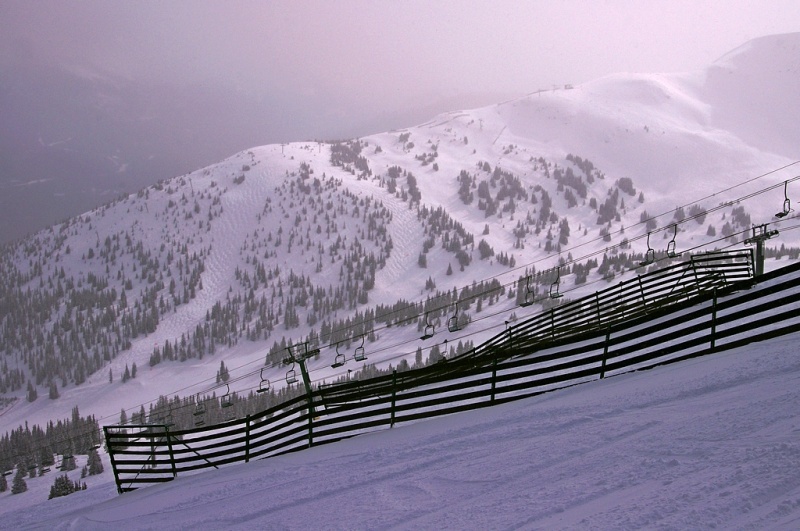 The expert terrain at Marmot Basin is primarily found off of two lifts. The Knob chair has some very interesting, albeit short, lines on the Party Slope and a number of steep but nevertheless wide chutes in Charlie’s Bowl. Nearly all of this terrain sits above the tree line. The entire Eagle East complex of cornices, drops, ravines and glades is accessed via the separate Eagle Ridge lift. While the runs that fall off the western side of this ridge are mostly cruisers, the double diamond pitch on east side drops all the way down to the base area. These rolling pitches and bursts that dominate these east-facing runs are delightfully fun to play around on and are sufficiently steep at this relaxed family style mountain. The terrain is expansive and the runs long enough that these runs don’t get old quickly and, on weekdays at least, you’ll be one of the few around. Where to stay: It may be hard to believe, but the newest hotel in the town of Jasper was built in 1983. That hotel is the First Nation-owned Sawridge Inn, which is thoroughly modern and offers amenities including indoor pools and hot tubs, a conference center, day spa, free wi-fi, and a lounge. Where to eat: Numerous choices abound in town and I can specifically recommend Evil Dave’s Grill for a sumptuous meal, or Jasper Pizza for a relaxed local’s kind of place that also goes easy on a family’s wallet.